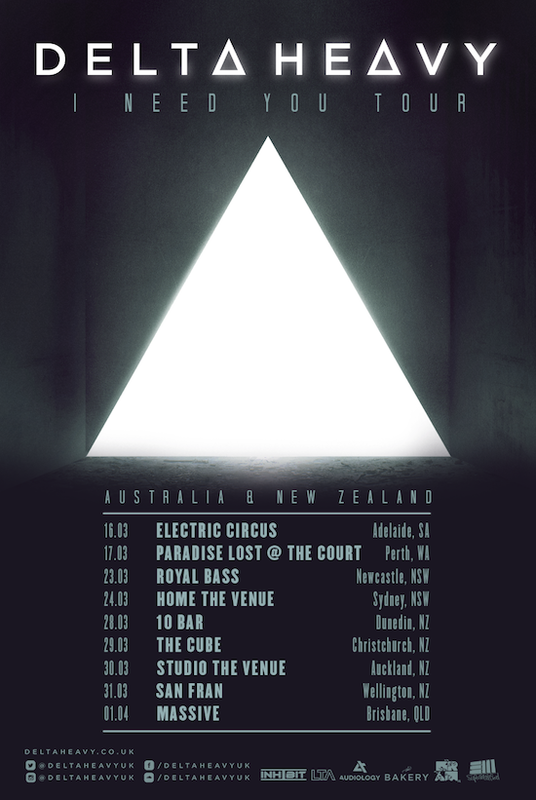 Delta Heavy return to Aus/NZ off the back of a massive release! Hard-hitting UK drum’n’bass duo Delta Heavy are coming in hot with their debut single signed to Monstercat, ‘I Need You‘. Never shying away from a roaring bassline or distorted wobble, ‘I Need You’ perfectly demonstrates the Delta Heavy sound without question. So much so that for the past six months the single has been used as their intro when playing live on tour – setting the scene for dancefloor decimation. Masters of their craft, Delta Heavy encapsulate a flawless balance between melodic beauty and futuristic bass, with plenty of punch. Known for their past work including ‘Gargantua‘, their remix of Zeds Dead ‘Lights Out‘ and their Hans Zimmer tribute ‘S.T.A.Y.‘, ‘I Need You’ is the ideal next step for the duo. Listen to Delta Heavy’s ‘I Need You’ here!